​The Cooks Standard 8-Quart Classic Stainless Steel Stockpot with Lid is made with brushed 18/10 stainless steel with an aluminum disc layered in the bottom. Stainless steel is easy to clean and looks great. The aluminum disc layered bottom provides even/quick heat distribution and prevents hot spots. 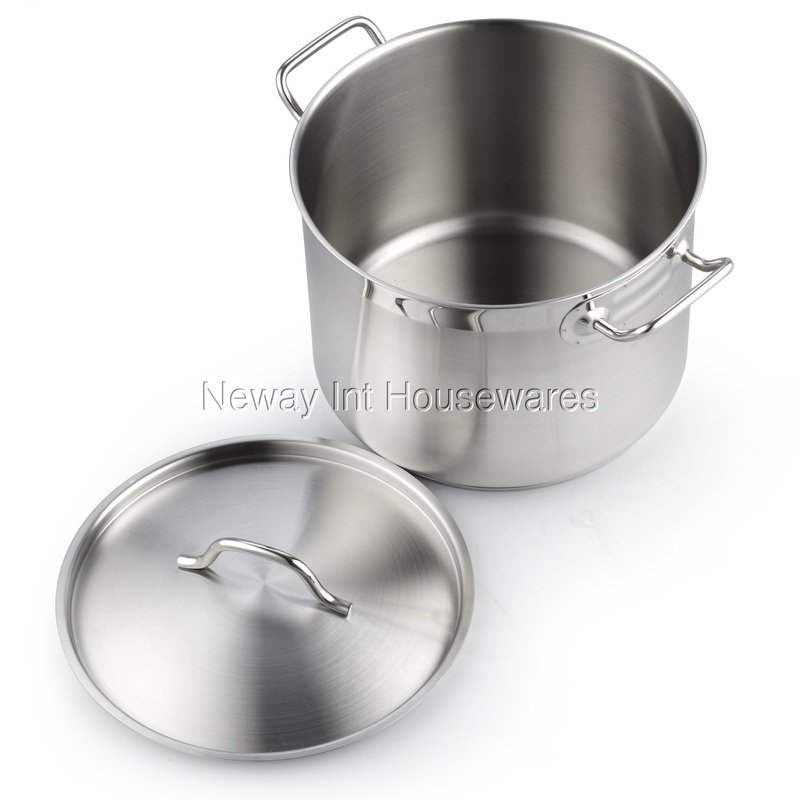 Solid stainless steel lid keeps in heat and moisture. Deep stainless steel riveted handles offer durability and stay cool. Tapered lip for easy pouring. Large size for multipurpose function: canning, jarring, and stewing. Induction compatible. Works on gas, electric, glass, ceramic, halogen, etc. Oven safe to 500F. Dishwasher safe.